MARRIAGE- Marriage or Wedding is just not a word, its a commitment for life, care and respect and love for each other. Two individuals coming from different backgrounds, different cultures, different families, different thinking take vows to be together for a lifetime. To celebrate that special day every year we tend to make it special by having special moments, special treats. 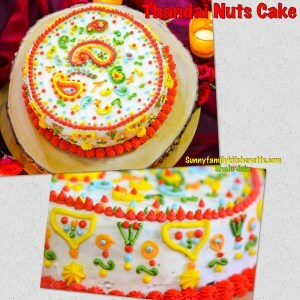 You all must be surprised why I’m explaining the meaning of marriage for a Cake post…. 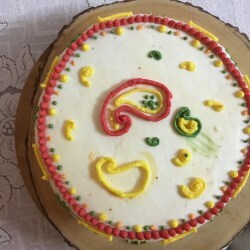 Its because I made this cake for our Anniversary. 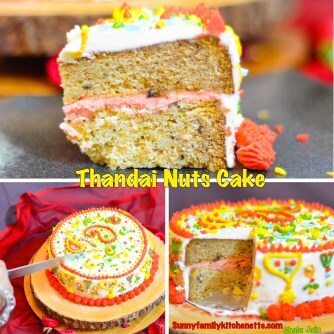 N for me this Cake truly symbolizes the meaning of Marriage where the Thandai which is truly Indian gels well with Cake which is Continental. All the ingredients compliment each other very well n are very well balanced n the result is a scrumptious delight. Just like marriage where husband n wife complement each other support each other through thick n thin and make the journey of life beautiful. Special occasions calls for special treats. And if the Occasion is the closest to my Heart so obviously something very special should be there to celebrate it. 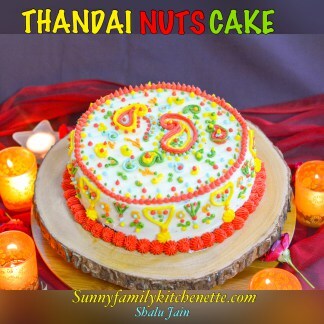 So to celebrate our anniversary I made this Thandai and nuts cake. Tried to make henna designs on it. Though not a very clean design but the happiness it brought on my Hubby’s face was soul satisfying. 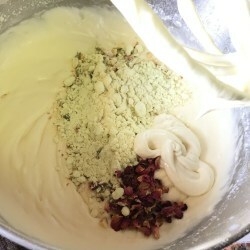 So lets start making the yummy delicious cake by having a look at the ingredients. 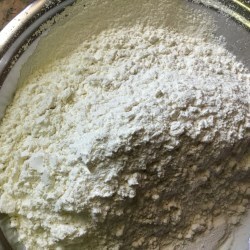 Baking Soda – 1tea spoon. 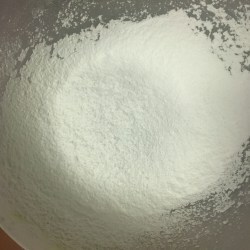 Take powdered sugar and butter and beat them well for 2-3 minutes. 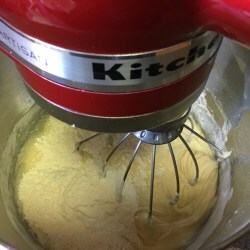 I’ve used a stand mixer,however you can use either a hand mixer or a whisk. 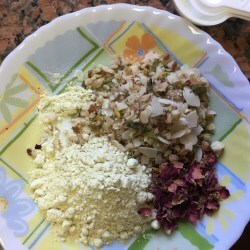 Next add Thandai powder, chopped nuts, dried rose petals and Rose water. 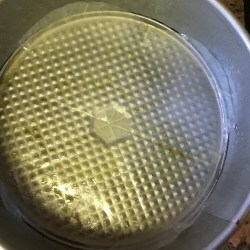 Now take a pan and grease it. 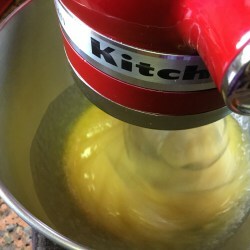 Now pour the cake mixture into the pan. Preheat the oven on 180 celcius. 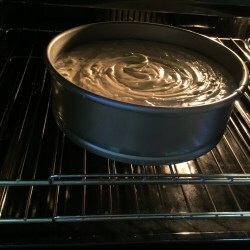 Place the pan in the middle rack of the oven and set the timer for 30minutes at 180*c.
Now lower down the temperature to 160*c after 30 minutes and bake it for 20 minutes. Now take a tooth pick/knife and poke to check whether it comes out clean or not. 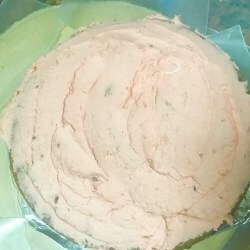 Enjoy the cake as it is. 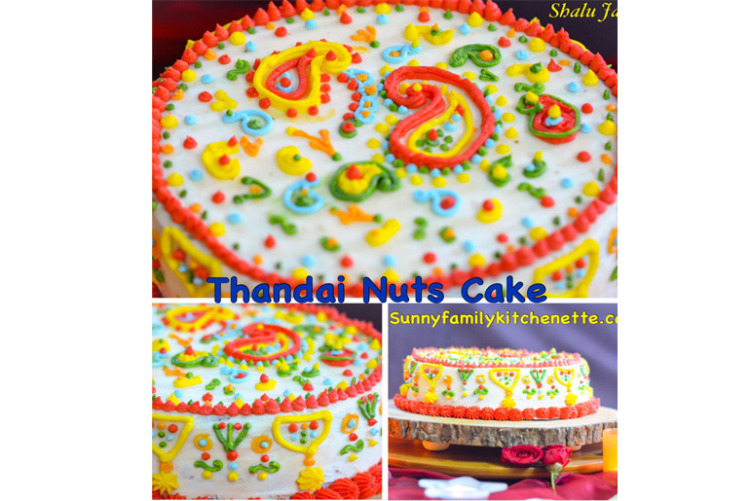 OR you can decorate it with Buttercream in your desired design. 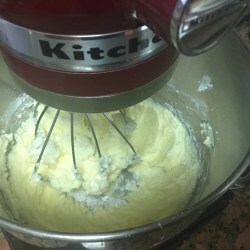 Start by beating/whipping Butter with the help of stand mixer or hand mixer. 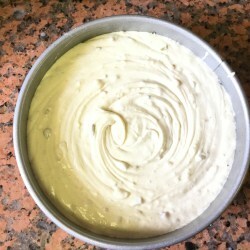 If you feel cream is towards thicker side add 1 tbsp milk. Mix it well. Add more if required. 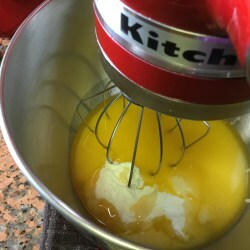 Add 2-3 drops of food colors to the buttercream. 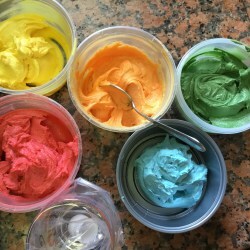 If you want different colors then divide the buttercream in separate bowls and add different color to each bowl and mix well. Butter should be at room temperature. 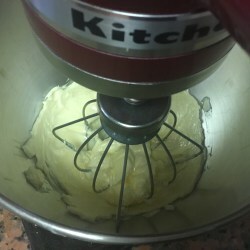 Take it out of the fridge 2-3 hrs before from when you are planning to make your buttercream. Never ever use cold butter. 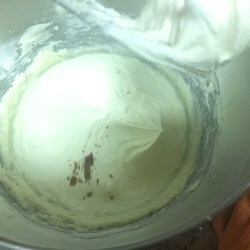 As it’ll lead to grainy n lumpy buttercream. Never ever bring your butter to room temperature by microwaving it or heating it. 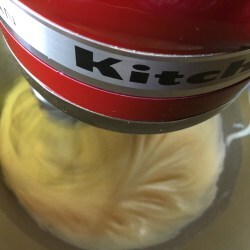 Because this will lead to watery buttercream. Sift the Icing Sugar before adding it to the butter. 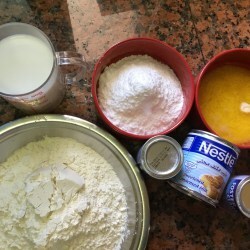 Moist the layer of cake with sugar syrup before applying buttercream and stacking them on top of each other. I’ve cut this Cake in two layers. Moistened the layers with sugar syrup. 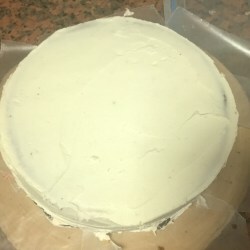 Next apply a generous coat of buttercream on the cake as we have to cover our full cake with buttercream. 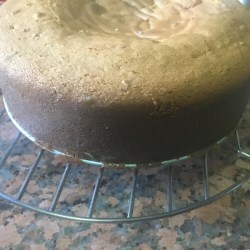 Take it out next morning and if you see that Crumb Coat is not smooth, it has ridges n bumps. Don worry, a simple trick will solve this problem. 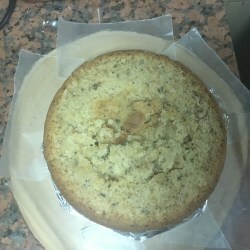 With a large metal spatula dipped in VERY hot water and dried, even out all the ridges and bumps on the cake. 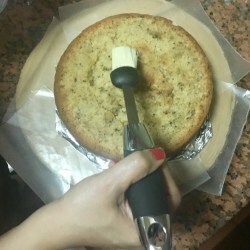 Keep dipping the spatula in hot water and wiping it clean and go around the cake in section till you get even layered crumb coat. Next we have to Prepare the Icing Bag. 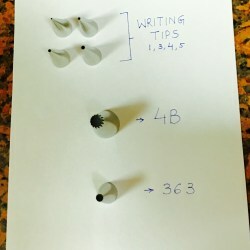 First decide on the tip-it depends on the design you want. Cut the edge to make an opening large enough to fit your tip. If you have a coupler, you have to fix that first followed by the tip. With the help of a coupler its easy to change tips. 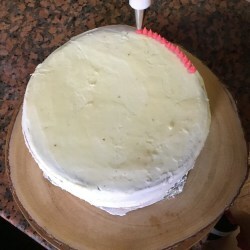 I hope this post will be a help to you all in baking and designing the cake.